Clouds are out, light nights are here… so I am looking through various images that I have processed but have previously not posted. Found 2 images of the popular M42 Orion Nebula that I had taken back in November 2013 and more recent January 2014. First up is November 2013. 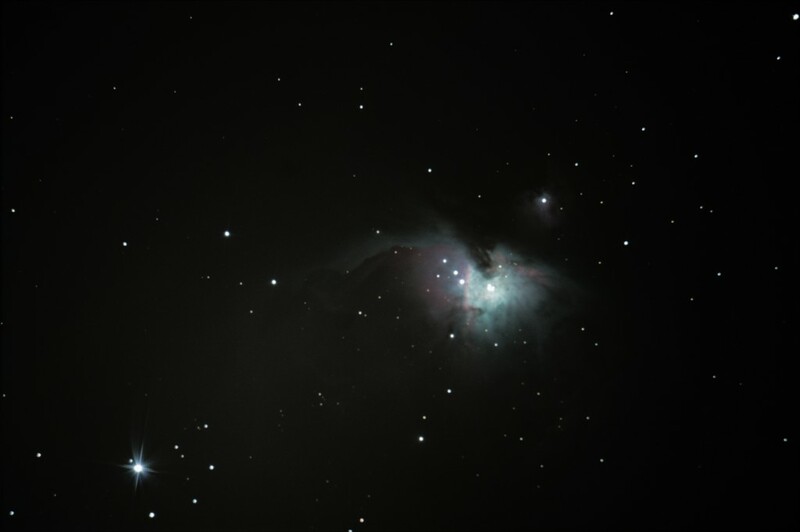 This is from 20 x 45 seconds + Darks (no flats), with my standard setup. I may have over processed the RED channel, however it highlights the ‘wispy’ areas nicely. 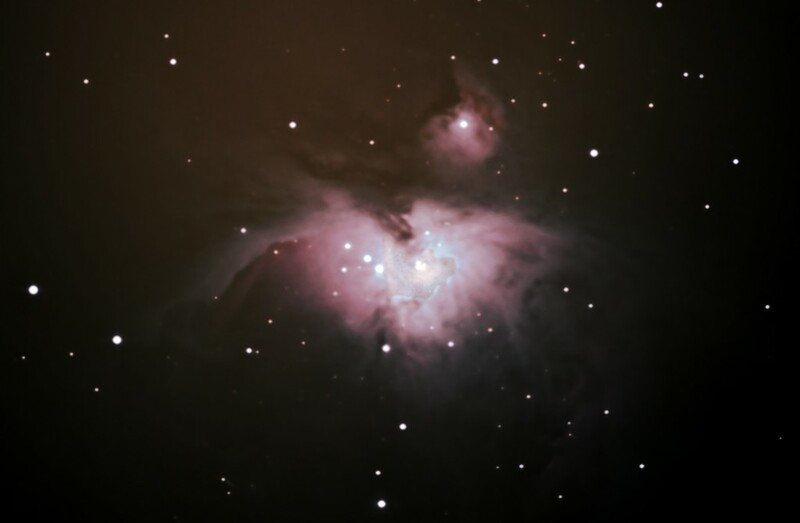 This version, shows less RED, which allows for more of the BLUE channel to be shown,which shows a more delicate side to the Nebula.